Pick one or pick them ALL! 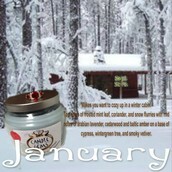 Our Candle Gems come in 55 scents from Almond Cherry to our Scent of The Month Winter Hideaway! 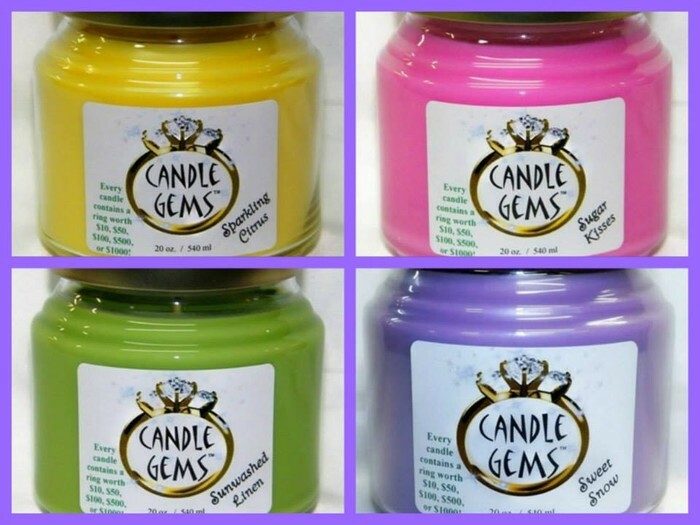 All of our Candle Gems include a BONUS ring hidden in the LID! No digging, no waiting and no mess! 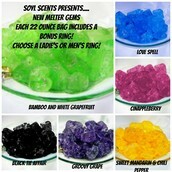 What are Melter Gems? 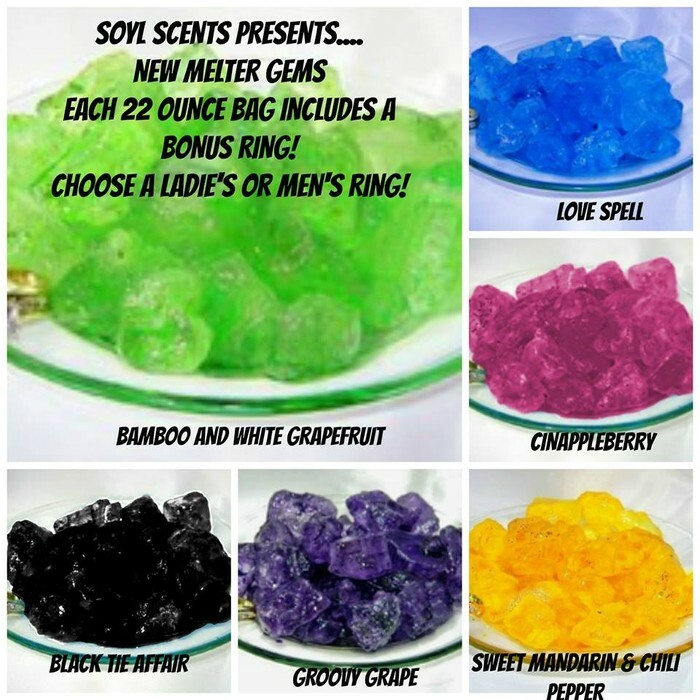 They are crystals that have been colored and infused with high quality fragrance oil. 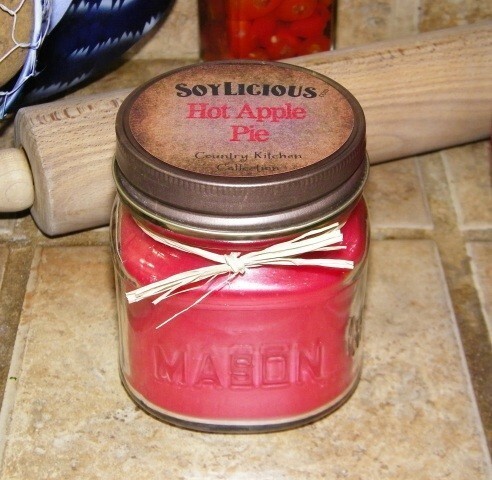 Warm, bakery aroma of a fresh from the oven cinnamon apple pie!!! Looking for a way to Relax and let all that Stress go and let your mind and body feel free ? Take a bath and use Soyl scents Spa ,Let the smell of your favorite Scent fill the room with a enjoyable smooth Scent!!!!! 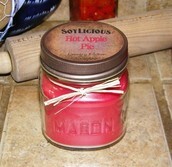 You Will Fall In Love With SoyL Scents Because It's Soothing And Relaxing And Has An Awesome Scent Smell!!!! Do You Like Our Products? Make A Purchase! Do You Love Our Products ? Become A Consultant! *FREE TO JOIN! NO MINIMUMS! NO MONTHLY FEES! NO QUOTAS! FREE WEBSITE! KITS ARE AVAILABLE BUT NOT REQUIRED! *Our rings are NOT buried in the wax, but are hidden in the lid of Our Candle Gems. No waiting, No digging, No Mess! *We carry a monthly Scent of the Month and as a Consultant, you can get the early bird special and order early!